As you know if you’re a regular reader or friend of mine, I live in Ireland. As an American here, it is exotic and different than where I grew up. I am a city girl at-heart, but when I am out in the country or on a remote island is when I feel inspired. Maybe it is that the distractions of everyday life fall away, leaving the details to pop up all the more. Of course, after nine years here, it has lost its exotic veneer and is just everyday life for me. I have my routine and with two kids trying to get enough sleep is the name of the game, but this summer I spent time in the States again and what was once familiar there was once again exotic, so I decided to return to Ireland with a renewed perspective and try to seek out inspiration in the familiar. 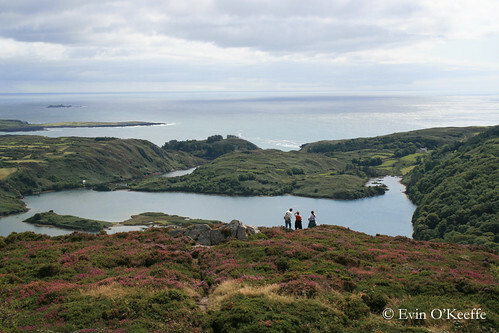 Recently, in Seattle of all places, I attended an art fair in which I saw several photographers selling stunning photos of inspirational landscapes and many of them were of Ireland, especially West Cork. And here I am able to live here! 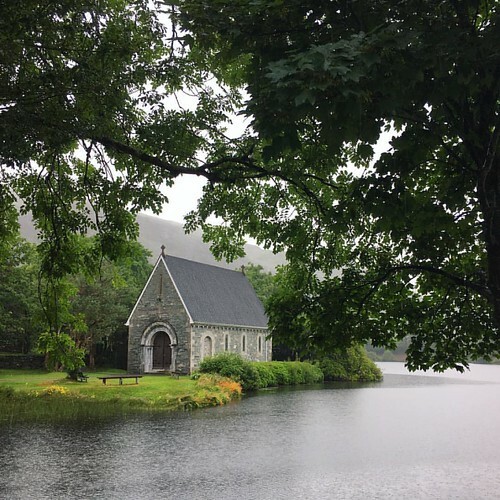 Today, I am sharing a few of the more inspiration places I’ve run across in my time in Ireland and maybe you too will be inspired by the Irish landscape. 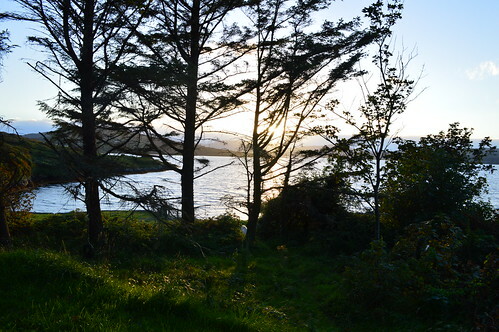 Under each image, I am also noting what I love about each photo, aside from the obvious… it’s Ireland! The pale hues in the distance with the rich earthy greens and rusty browns in the foreground, showing the bold and pale can go together. 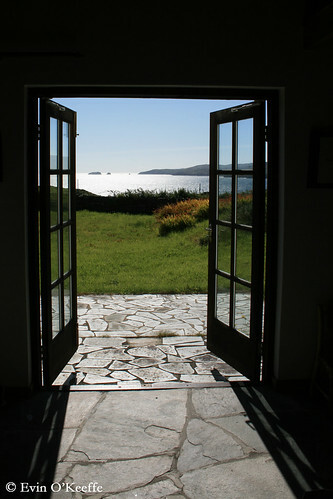 This is Bere Island. The tendril-like branches! This is Loch Hyne. Little flowers growing on a rock by the sea. Life persevering in the harshest of conditions. The speckled rock is amazing too. 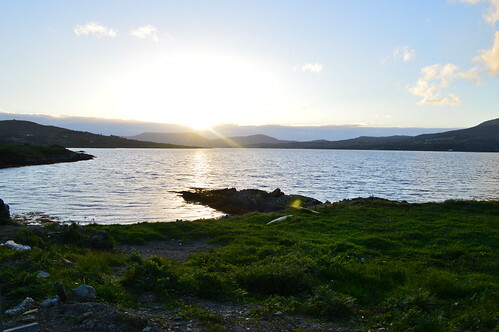 This is Bere Island. The fiery sunset, cool river blue, overlapping ripples, and birds at various moments in flight. 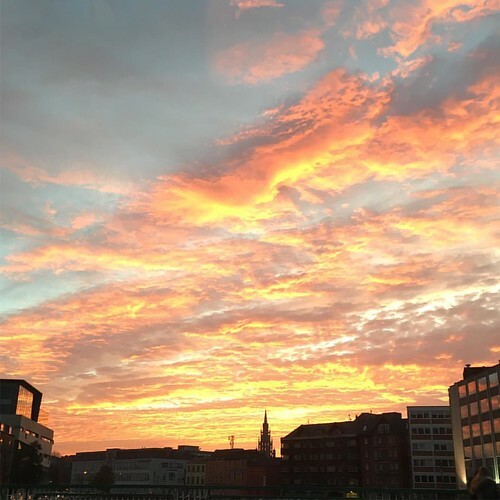 This is Cork city centre. The clouds! Maxfield Parrish would love this sky. 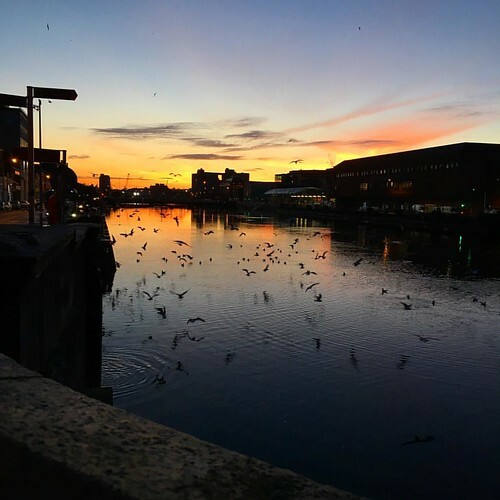 This is Cork city centre. 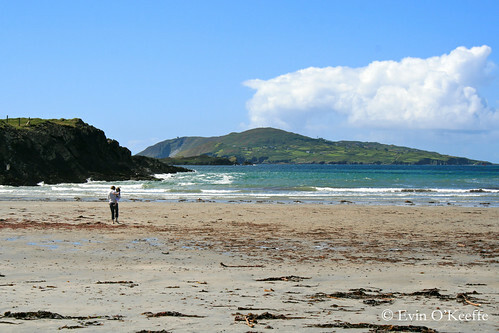 They say Ireland has 40 shades of green, but the sea has 40 shades of blue… at least. 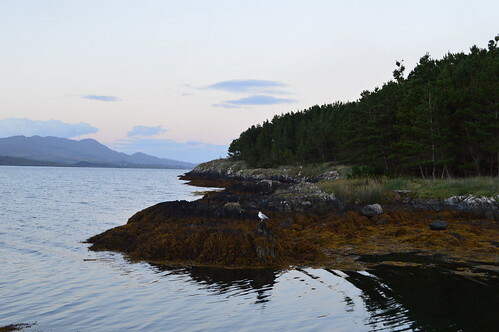 This is off the coast of Castletown Bere. Piercing sun, cool blues, and bold greens. 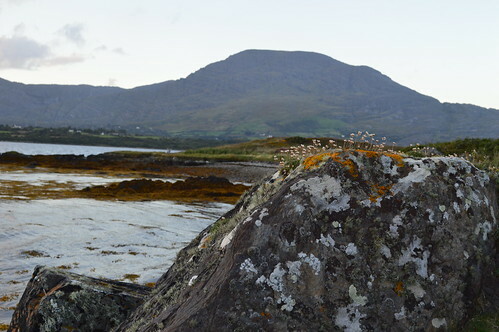 This is Bere Island. Rich turquoises and aquas against the creamy sand and green hills. This is Sherkin Island. The branches against the setting sun. 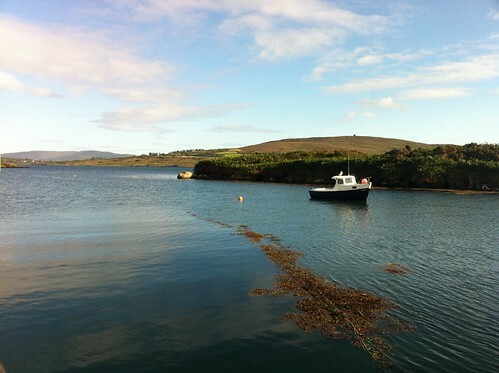 This is Bere Island. The gaze unwavering in its focus. 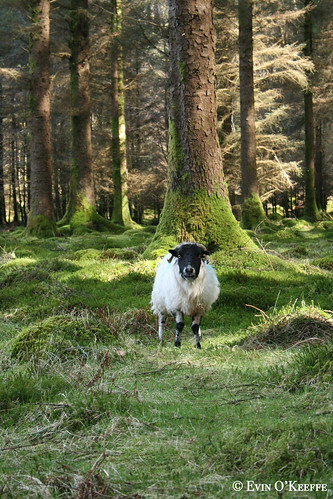 This is Gougane Barra National Park. The scale of these hills and coastline against us mere mortals. This is Loch Hyne. 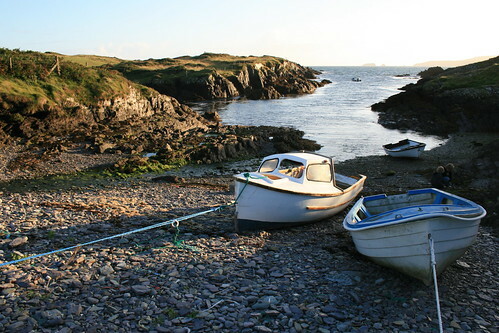 As if the boats are trying to break free from the land and their tethers to play in the sea. This is Tragumna. 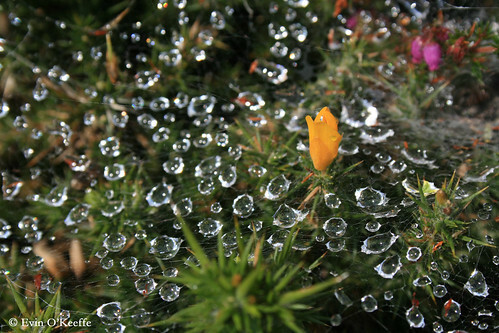 The way the complex spider webs on the gorse catch raindrops. This is Loch Hyne. Architecture and nature. This is Tragumna. At that art fair, the most popular Irish landmarks were Trinity’s library (Dublin) and St. Finbarr’s Oratory in Gougane Barra (West Cork). 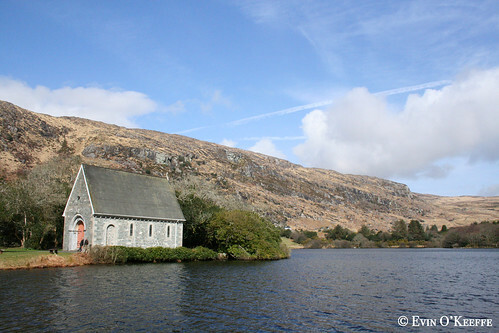 On a tiny island in the middle of the water is St. Finbarr’s Oratory in Gougane Barra. In all kinds of weather, any view of this oratory is a sight to behold. Are you inspired by the Irish landscape? What place inspires you? 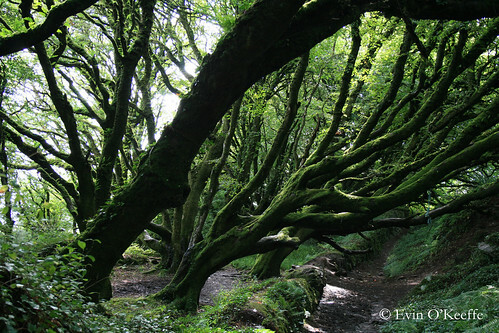 This entry was posted in Cork City, Ireland, Photography and tagged Travel | Cork.